Either-or is so yesterday. The Dynafit HOJI PRO TOUR Women knows no compromise. On the descent, it holds its own against alpine competitors thanks to its high rigidity and optimum power transfer on the ski. At the same time, the boot enables efficient climbing technique with superb comfort, flexibility, and maximum freedom of movement with a cuff rotation of 55 degrees. This enables a natural, energy-saving walking motion even on very steep terrain. The Speed Nose ensures additional efficiency, agility and maneuverability. 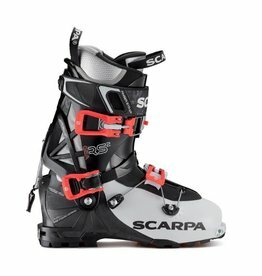 With a last width of 103.5mm, the Ultra Lock Strap, and three micro-adjustable buckles, the foot sits ideally positioned to deliver best performance and function precisely on the downhill, even on demanding terrain. The quick and simple switch between uphill and downhill modes is accomplished with just one kick thanks to the patent-pending Hoji Lock System. Master Step: Just one click - revolutionized step in Tech Bindings. The patented Master Step insert makes the entry even more easy. 50% Easier Entry. Maximum Loads with a Din Z-Value of 16! 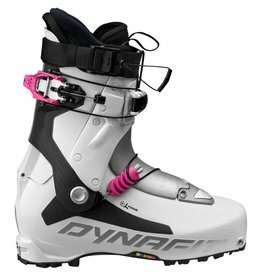 Automatically compatible with Dynafit Beast Bindings! Speed Nose: Higher Ascent Efficiency! The shorter toebox and rotation point at the binding attachment set further back make walking even more efficient. 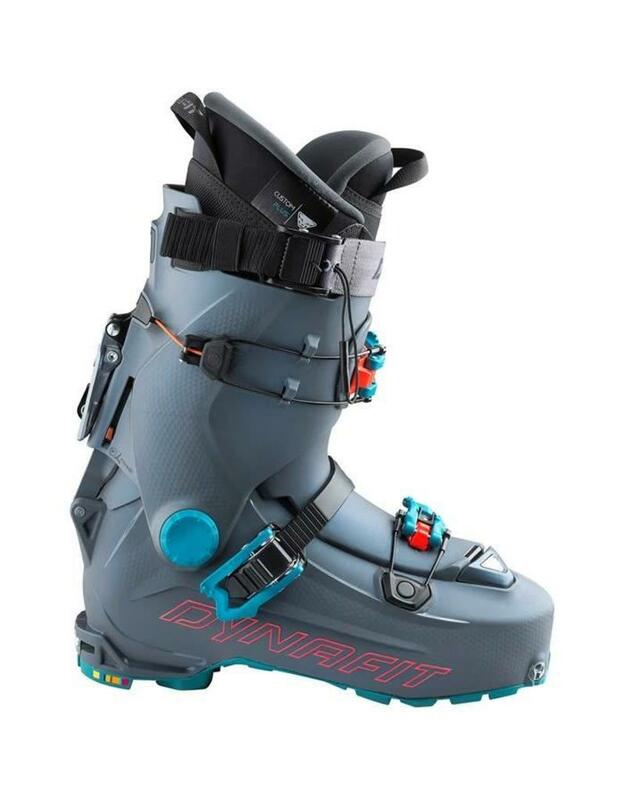 Dynafit revolutionizes once again the connection between boot and binding, the legend continues. Cramp-in System: Salewa hook technology for attaching the lightest crampons in the world. 55 degrees cuff rotation and the V-shaped tongue give maximum freedom of movement, flexibility and comfort on the climb. 11 degrees of forward lean lend unconditional downhill performance. 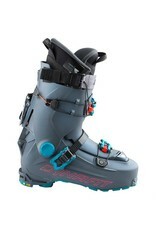 The new Gea RS Boot provides lightness and comfort for uphill, stiffness and excellent control for the hardest downhill.